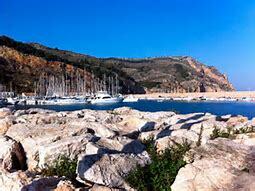 Javea is a town of great beauty, magical landscapes and a haven of peace and serenity. Here, nature has been so generous that it is difficult to find a similar place that can offer everything to the holidaymaker or resident without travelling far. 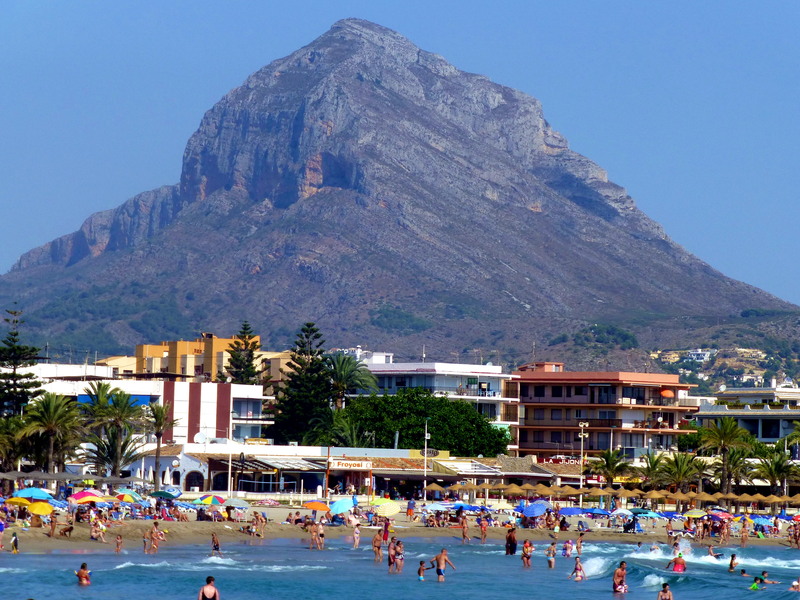 Interestingly Javea is split between the historic town, old port and the newer Arinal beaches, which is framed by the Capes of La Nau and Sant Antoni. Its coastline is 25 km long with beaches and creeks which stand out because of their natural beauty, as well as their transparent waters and the Mediterranean forest which surrounds them. The town spreads up the slopes of the Montgo Mountain, that dominates the view inland and along the coast, and which offers the town protection from the continental winds. The micro climate here gives rise to lush vegetation and many local species of flora and fauna. 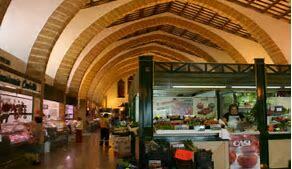 Here are the 5 most essential things to do in Javea. 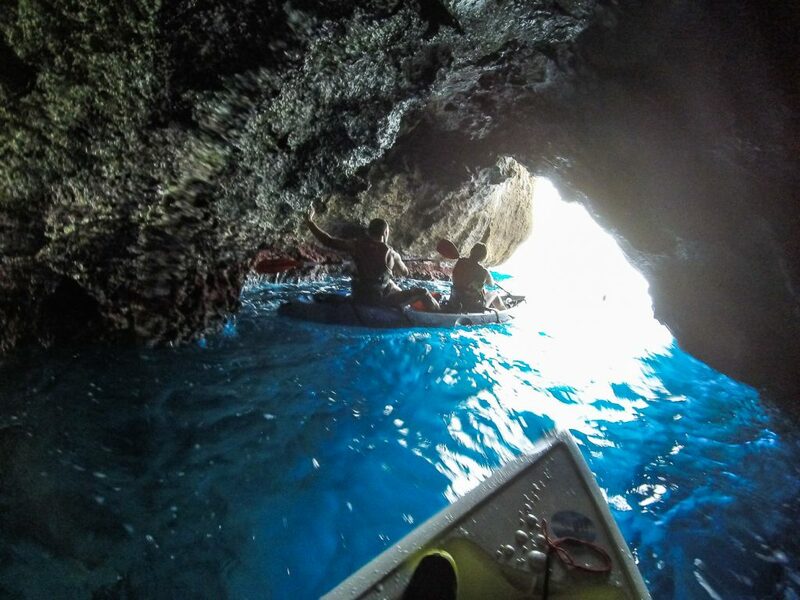 1) Explore the hidden coastline beyond the sandy Arenal beach to the south, which are accessible by boat, such as the caves of "Tabaco" and "Orguens" around Capes Negre and La Nau, and the "Cova Tallada" on the Cape of Sant Antoni, which can also be reached on foot. The pebble or rock beaches like "La Grava", "El 1º Muntanyar", "Calablanca", "El 2º Muntanyar" or "Benissero" are ideal for water sports such as jetski, windsurfing and canoeing. 2) The Arenal area, with the Costa Blanca's only ‘National Parador’, contains Jávea's most popular beach - the Playa del Arenal - the bustling area offers fine and shallow waters. Its many services include: life-guards, play areas for children, natural and artificial shade, small motor boat and ski hire, restaurants, cafés and ample parking facilities. There are also small coves with smooth stones or rock, located in unique, privileged places, like the "Tangó" or "Pope", "La 1ª Caleta", "La Barraca" or "Portitxol", the paradisiacal "Granadella" creek which is ideal for diving, and "Ambolo" (naturist). 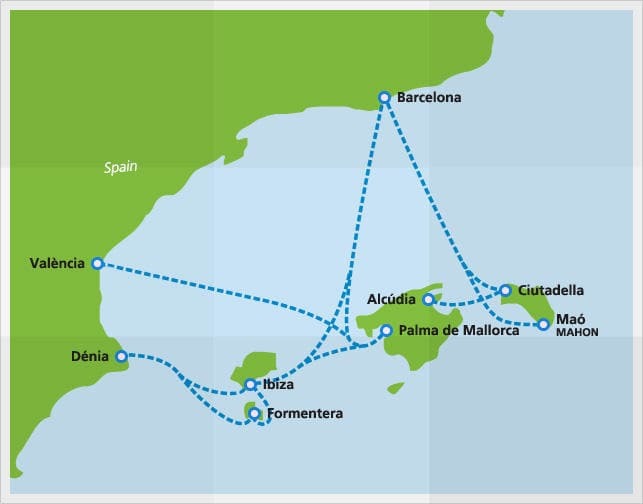 Other coves are only accessible on foot or by boat, such as the "2ª Caleta", "Cala del Francés" or "Cala Sardinera". 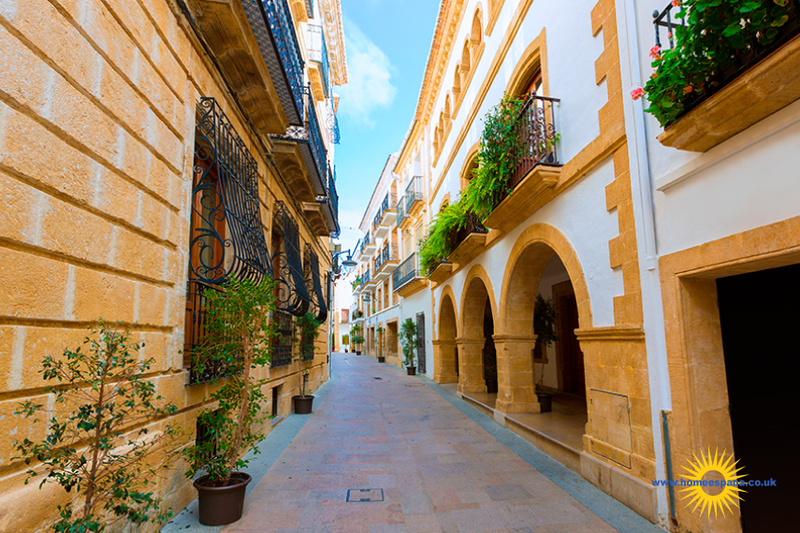 3)The former walled town now forms Jávea's historical centre and is situated around the Gothic Church of San Bartolomé, which in turn is surrounded by whitewashed houses with iron grilles and lintels made out of golden porous 'Tosca' clay. In this area the Ayuntamiento (Town Hall), Food Market, Cultural Centre, Museum of Archaeology and Ethnology and the Chapel of Santa Ana are all located within easy walking distance. There are some great tapas bars and restaurants to be found in the narrow streets here. 4) The marine and port area, known as the Aduanas del Mar, is located 2 km from the old historic town centre and is the place to see the modern ‘Church of Our Lady of Loreta’, constructed in the shape of the ships keel. Here you will also find some lovely bars and restaurants on the frontline and in the back streets too. 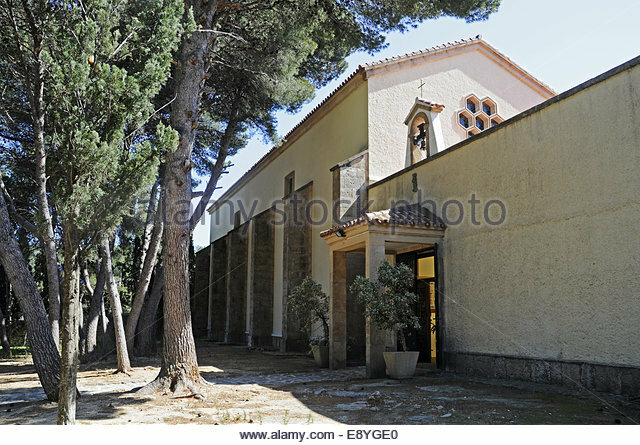 5)Take a short drive up behind Javea’s historic town towards the Montgo Mountain, whereby you’ll find the monastery of Nuestra Señora de los Angeles, although one should note it is only open to visitors on Sundays and fiestas. Alongside the monastery you’ll find a dirt track that will take you to a series of ancient windmills that overlook the town and the coastline too. It’s a short easy walk of 300 metres, but you can meander around the site and into the windmills themselves. There are pathways around that take you along the edge of the hillside and even down to the town, though these pathways tend to be rough and rocky and not ideal if you have mobility issues.